Kurunakar fish market in Jaffna town which had remained closed by Sri Lanka Army (SLA) for nearly 20 years due to security reasons and occupied by the SLA for the last 15 years was officially reopened by SLA Wednesday for public use, sources in Jaffna said. Fisheries and Marine Resources Ministry, Jaffna Deputy Director, N. Tharmalingam, SLA officials, Fisheries Society representatives and political party persons took part in the event where fishermen sold their catch to public, the sources said. 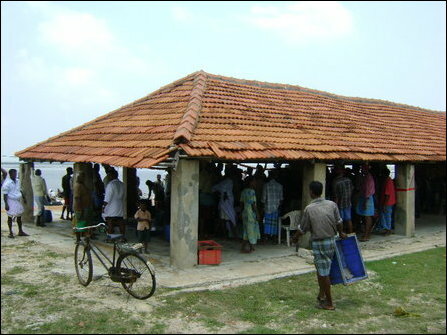 The fish market is located next to the Cey-Nor factory, a Norwegian funded establishment, that manufactured fishing nets for the fishermen in Jaffna peninsula. SLA had occupied the building next to Cey-Nor factory for the last 14 years. The fish market had to be closed in the 90s due to the clashes that occurred near Jaffna Fort when SLA soldiers located in Ma’ndaitheevu in the islets of Jaffna fired on the people in the market. When SLA occupied Jaffna peninsula completely in 1996 Krunakar fish market was closed down by SLA. 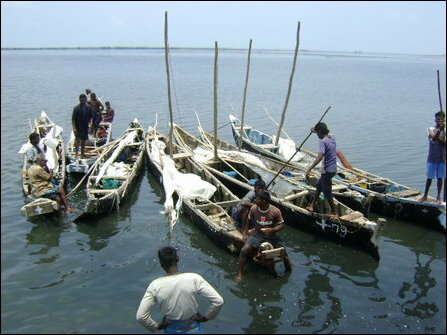 The fish market is mainly used by fishermen from Kurunakar, Kozhumpuththu’rai, Karaiyoor, Paasaiyoor and Ariyaalai East areas who fish in Jaffna lagoon. After the closure of the market the fishermen had to take their catch to Pa’n’nai fish market 3km away.